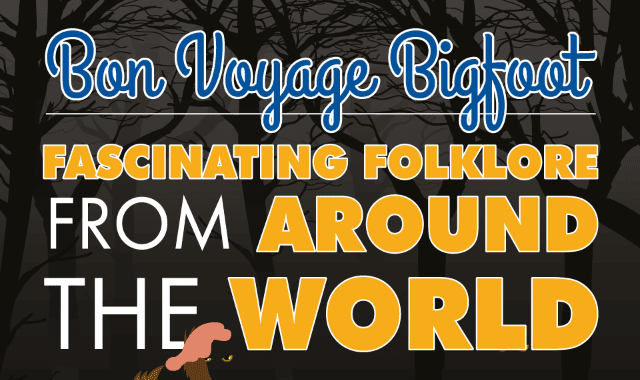 Beyond Bigfoot: Fascinating Folklore From Around The World #Infographic ~ Visualistan '+g+"
If you’ve always been fascinated by creatures such as Bigfoot or the Loch Ness monster, you’ll be thrilled to know there’s a whole world of “mythical” creatures to discover (though without guarantee anyone will believe you). Take your belief in mysterious beings with you as you travel the world following the path laid out in this infographic from VisitIOM. Happy hunting!